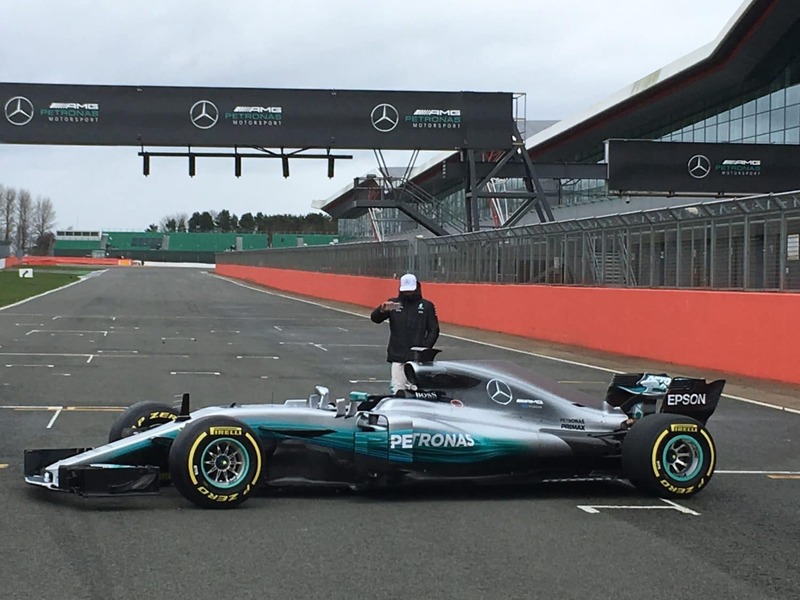 Badger’s Sarah Merritt attended the launch of the Mercedes 2017 offering, the W08, at a very windy Silverstone circuit, where the assembled media and team partners were treated to the sight and sound of the new car as it completed filming laps, as well as a launch on the iconic pit straight. 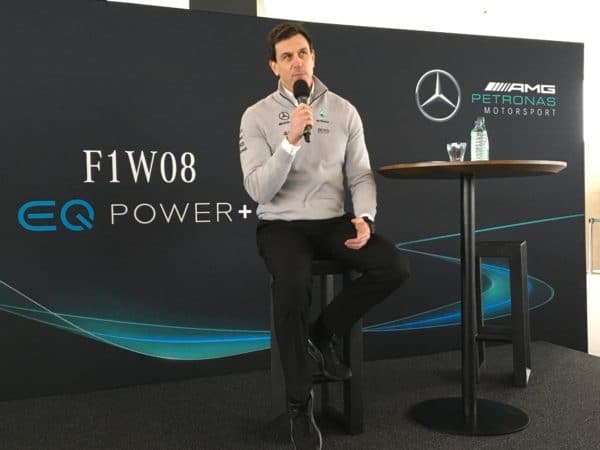 “The standard sentence is that all points go back to zero, and this season with the regulation change, not only have the points gone back to zero, but I think also if there is momentum, that is disturbed by a change of regulation. It provides opportunity, but it also provides risk, and for us, it’s a very exciting situation. Once it was clear that those new regulations were going to happen, it provided so many new opportunities and the possibility to bring in some innovation. 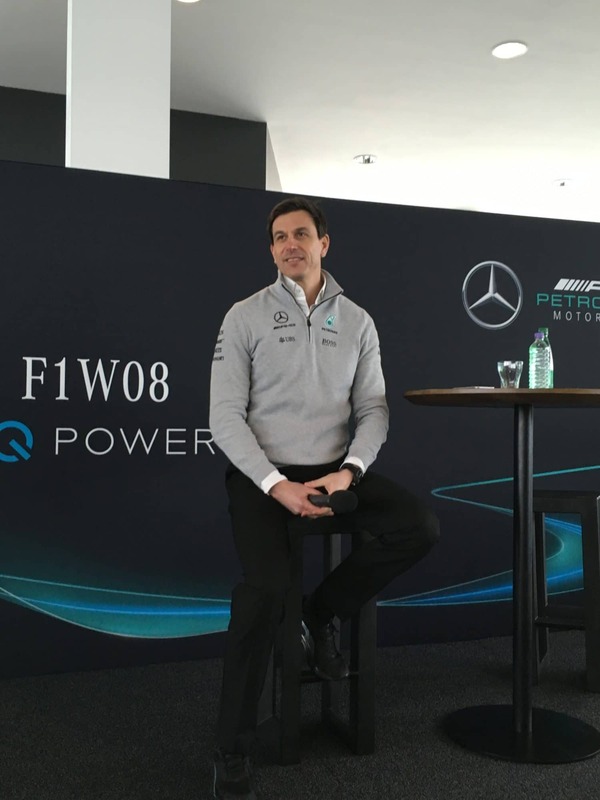 “There was a bit of a curve ball that Nico threw at us in December. 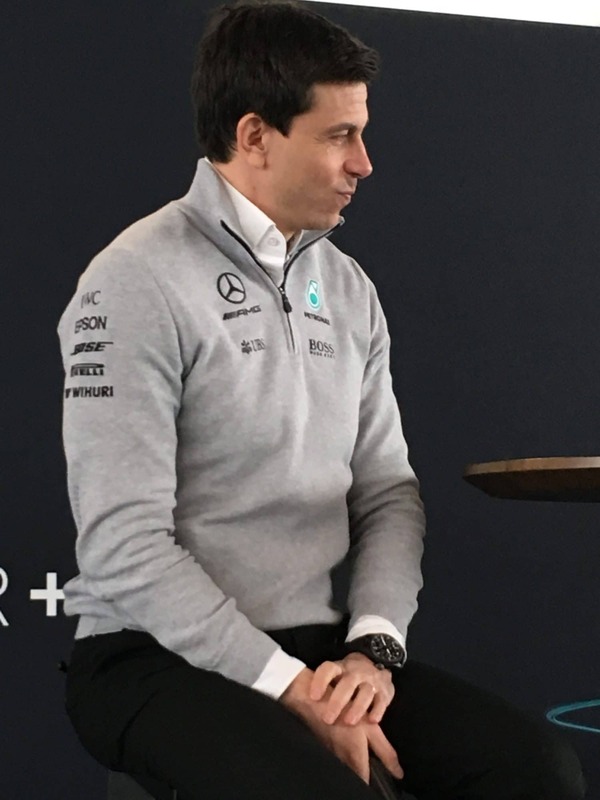 We were all expecting to stop racing, go back to the factory, spend the weeks there with a normal office job looking after the structure and the organisation, and then suddenly, it was all back to competition mode almost. 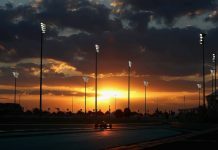 “There is an internal paper that has grown over the years with experience, and still, when you look at Abu Dhabi, it proved to have blank spots, so it is something that we want to continue to develop for the benefit of the team, the drivers and the spectators. 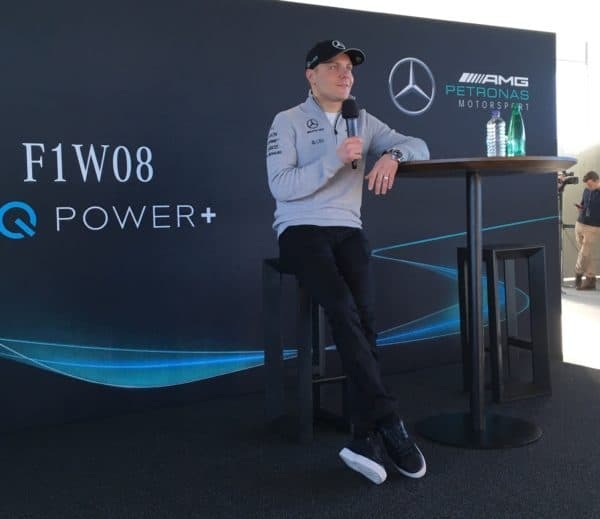 “There have been discussions in the TRM (Technical Regulations Meeting) around suspension legality, and as far as Mercedes are concerned, I am very confident and comfortable with the situation. 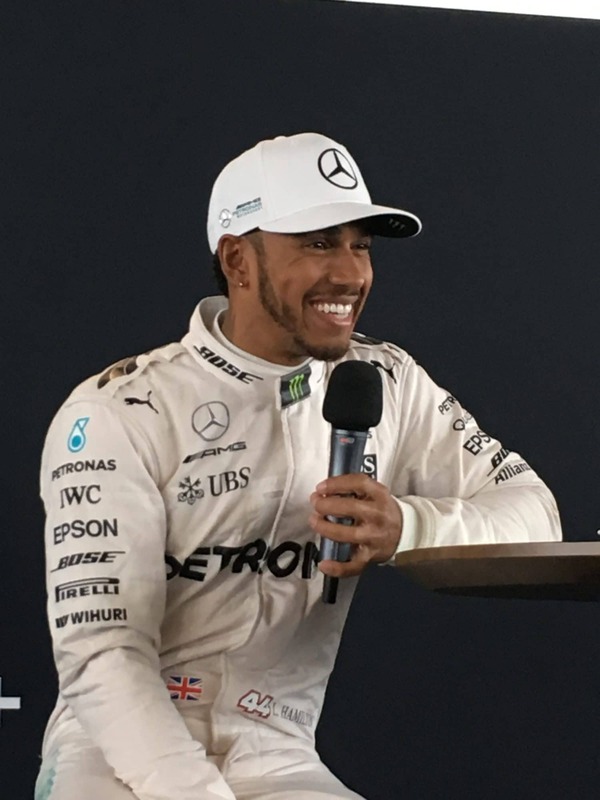 “Of course, you are always limited by contracts, and also part of the success of Formula 1 was long-term contracts that give it stability, but that also means that probably you might not be able to change everything at one. Lewis joined us carrying his phone and live on Instagram to an audience of over 50,000 viewers. 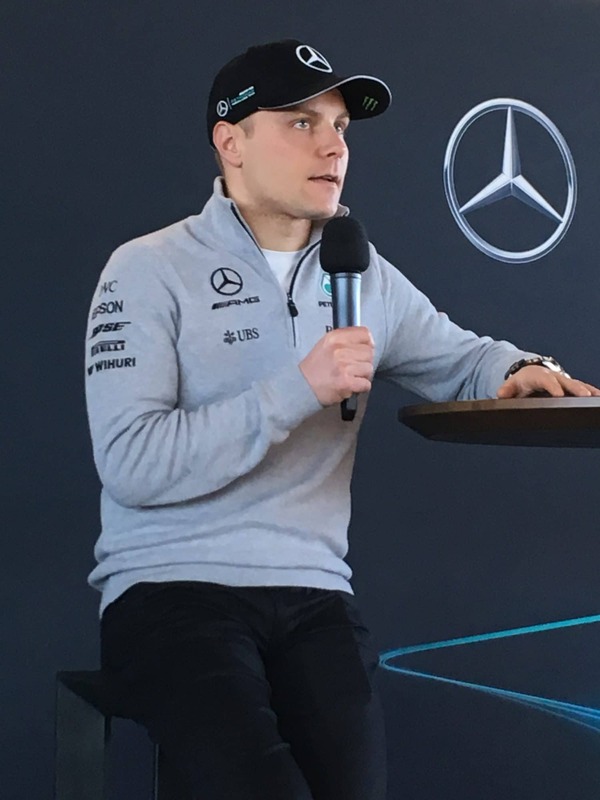 He then stood it on the table next to him so that fans could listen in on his media session, and engaged in a playful media session, clearly happy with his first experience of the 2017 car. 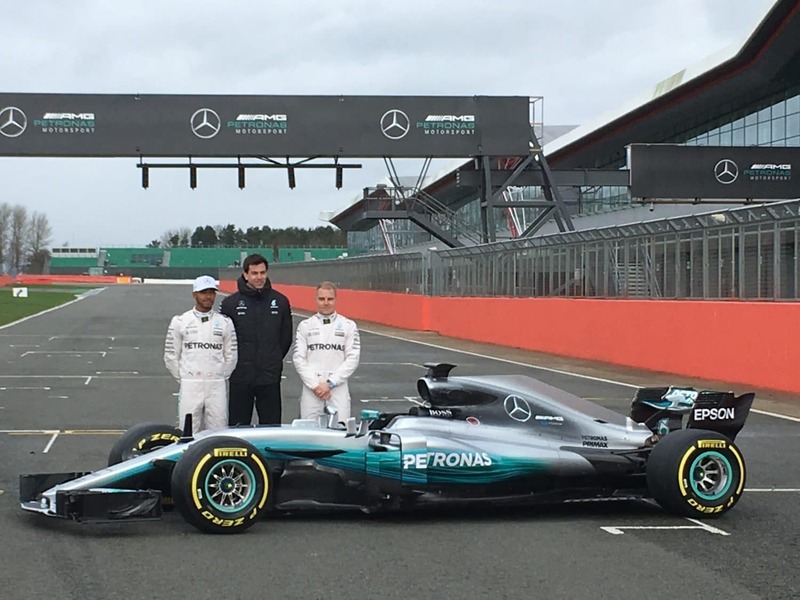 “It was incredible to be at the factory in the last week or so and see the guys putting the car together. It’s kind of crazy because you see the car growing in the wind tunnel with all the things they are trying, and then you see them down in the race bays, and from all the different sections of the factory, all those different components start coming together, like a jigsaw. Watching last night, undoubtedly, this car is the most detailed car that we have ever built as a team, and it shows the innovation and the technology are advancing, and the engineers’ knowledge of how to interpret design is evolving. It’s fascinating for me. 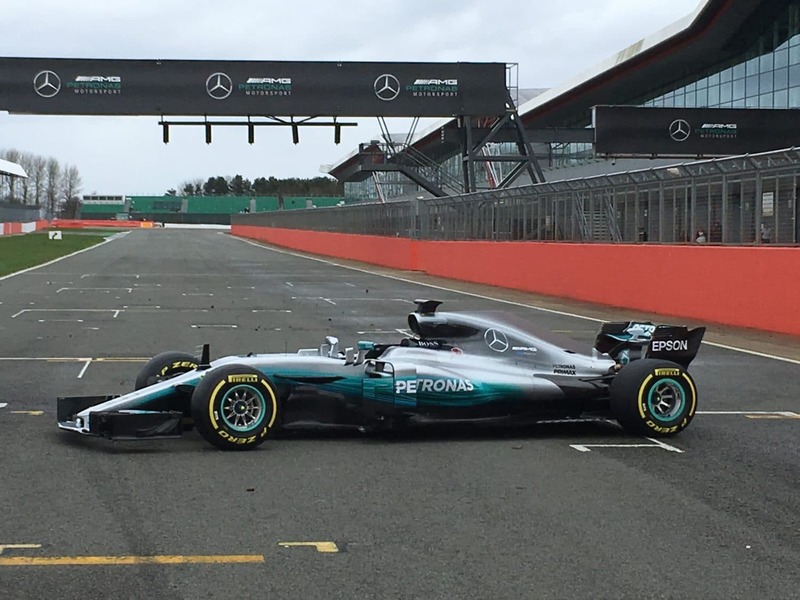 Today I drove it, and it was damp when I drove, so I was on the wet tyres initially, and the feeling wasn’t spectacular as it was quite gusty. Then we put the slick on when it had dried up a bit more, and I was pushing a little bit and had so much grip in Stowe as we had a headwind, which is the same as a race, where you’d have a headwind or a tailwind. 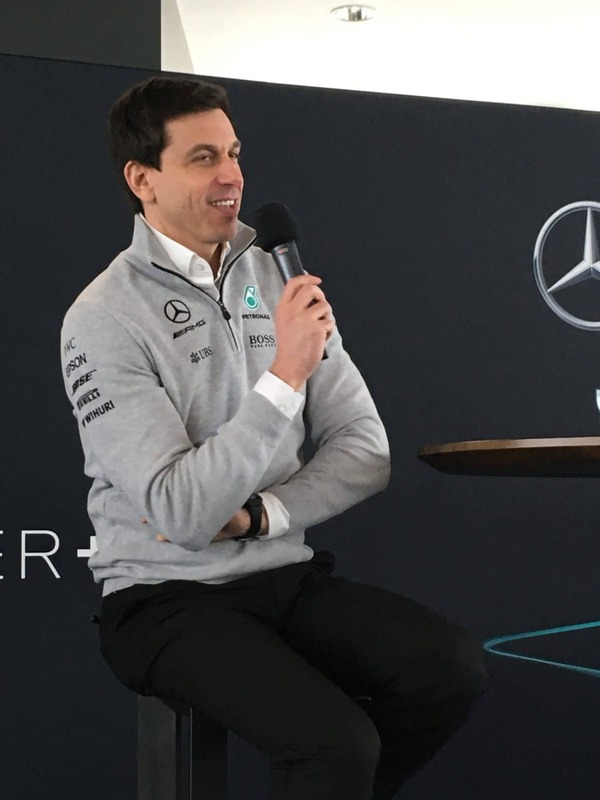 “I think it’s cool for the engineers to be able to share the information on the car, engineer-wise, and to be able to advance the car is very important. What I referred to is me as an individual. My job when I arrive at the track, to be the best, is obviously to get out there and exploit the car in the best way I know. 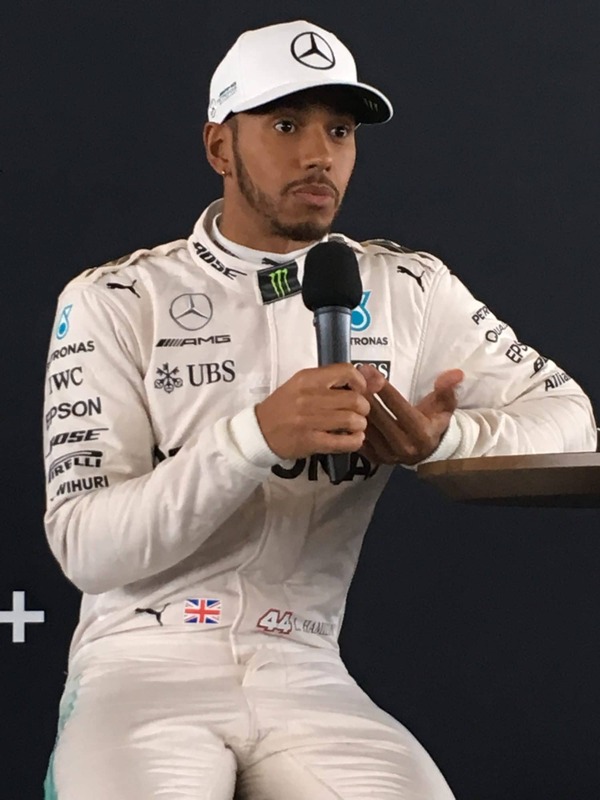 But the way the sport is now, whoever is your teammate, you get to see that data and compare your data to it, and you see whether there are improvements in someone else’s driving style and adapt to it. I just feel that to make it harder for us drivers, they should remove that, so that we rely on our own data. You compare your own lap to your own lap before, you go out and you test, try a different line in the corner, which may or may not work. 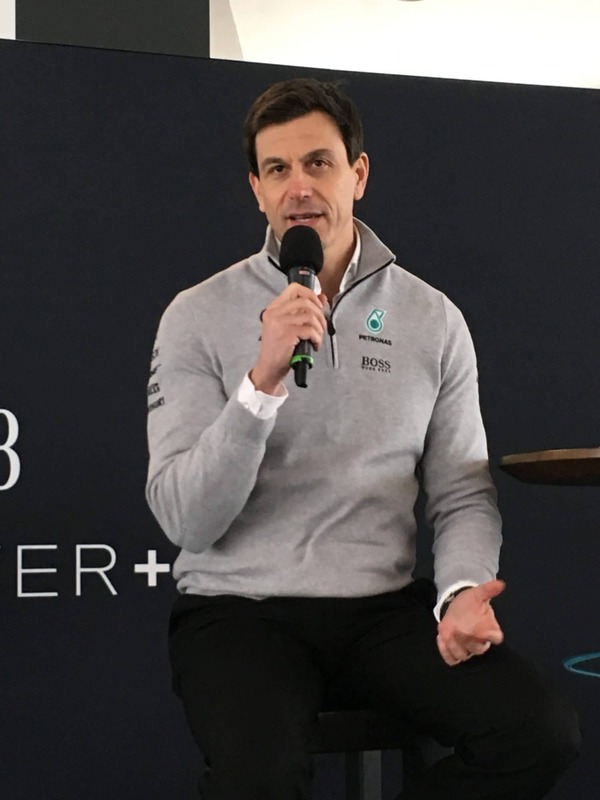 There will be the weekends where you get it right, and the weekends where you just don’t know where the time is, and I think it just makes it more of a challenge for a driver. 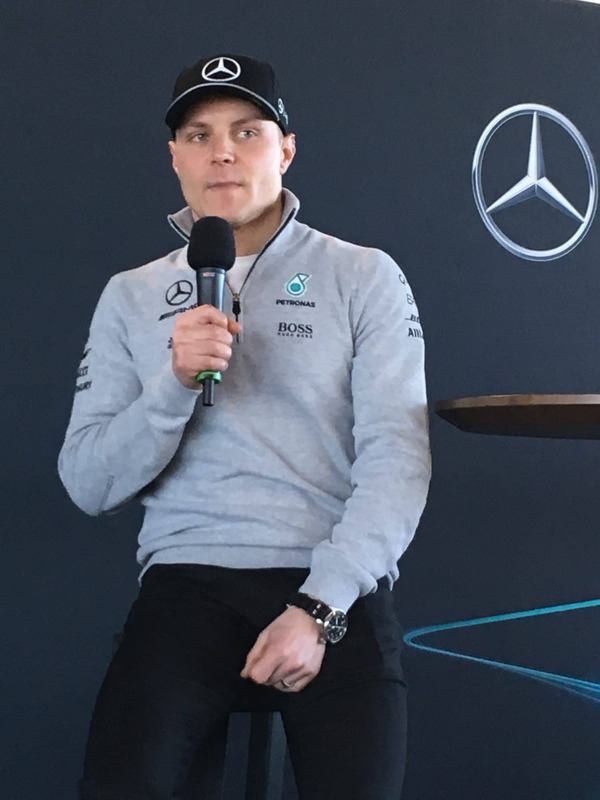 “I don’t think I’m going to miss Nico, as I have never missed a teammate in my life, as generally there’s another one that takes his place! 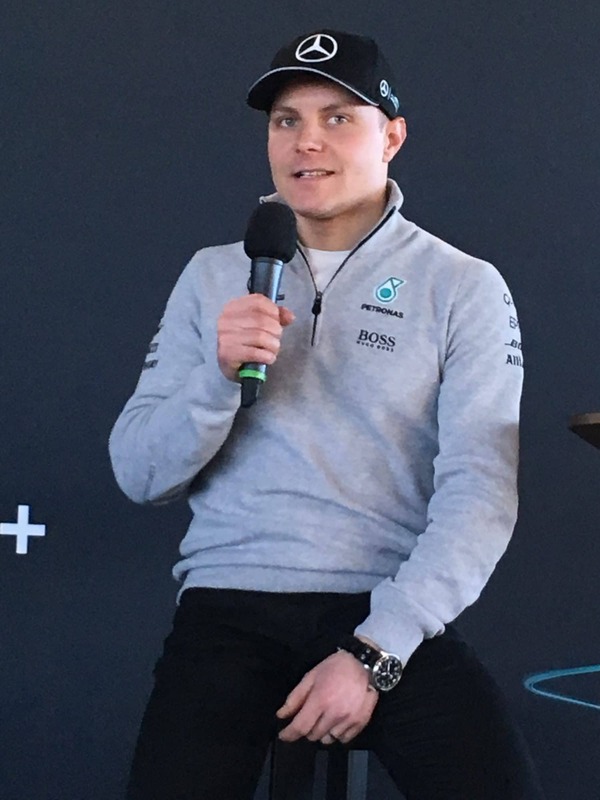 “Fresh new ideas are always a great thing, and Valtteri’s ideas and experiences will add to the great foundation we already have as a team. 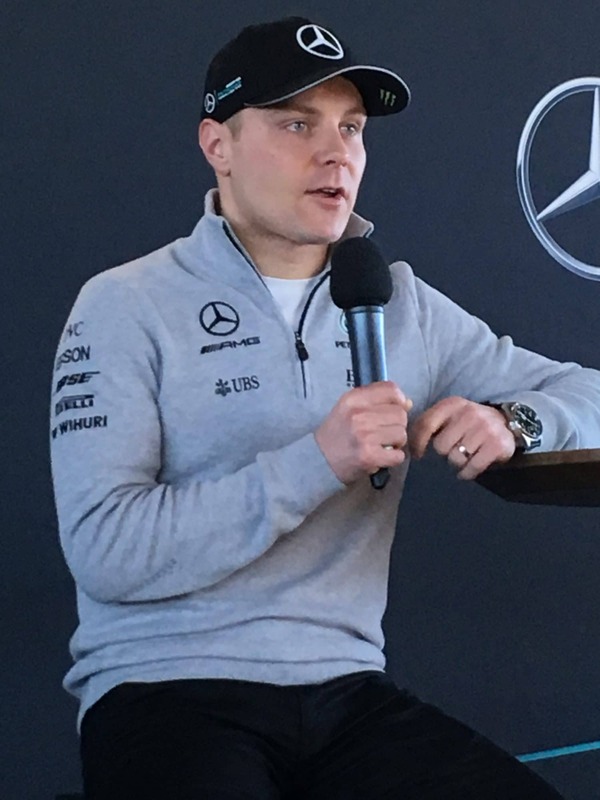 I don’t know Valtteri very well, I’ve seen him at the race track and we bump into each other on the parade or in the drivers briefing, that’s been it. We’ve always had pleasant short discussions, and I saw him in the factory as the car was being built and we had a small chat, and again today as well. Ultimately right now, there’s no competition between us, so it is purely on a gentleman’s discussion, which seems to be completely fine. When he sees me at my most intense moment and vice versa, it will be an interesting scenario for us, and that is something we will discover about each other – where the strengths and weaknesses are. 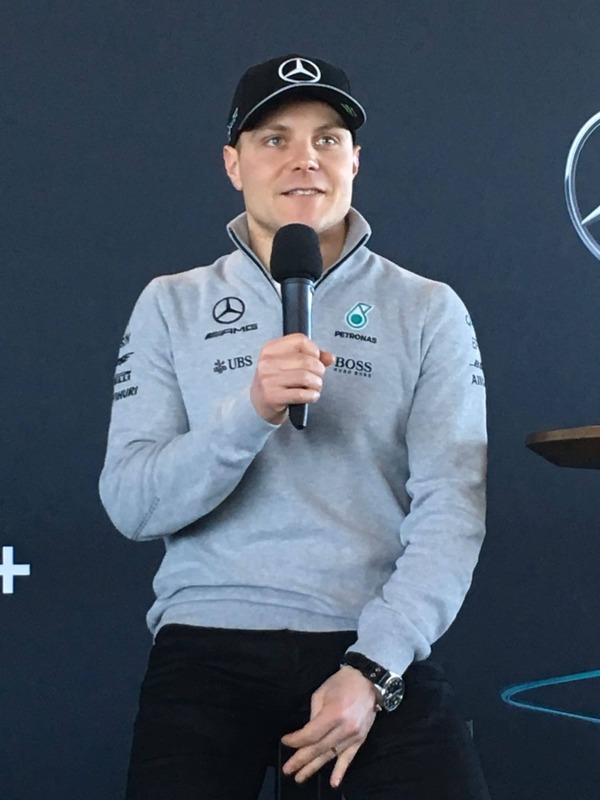 “It’s a special day for us as a team, and especially for me, driving this car for the first time, and actually working together with the team on track for the first time. Today was very good, thanks to all the preparation we have done, and obviously, we’ve been massively busy since the announcement on 16th January preparing for everything. 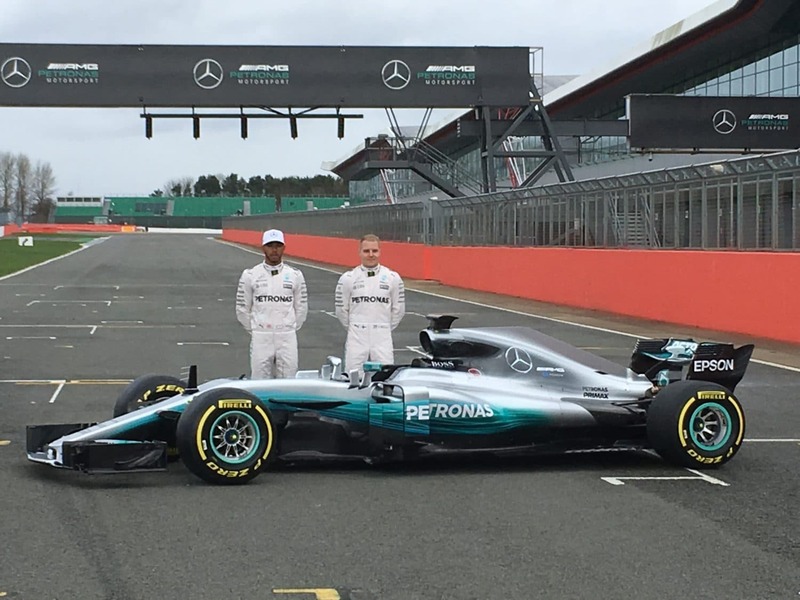 “First impressions on seeing the car? I saw it a couple of days ago, and yesterday at the factory, and it didn’t look ready at all, but the guys were saying, ‘yes, it will be ready’, and seeing it this morning as a complete car, to me it looks amazing. 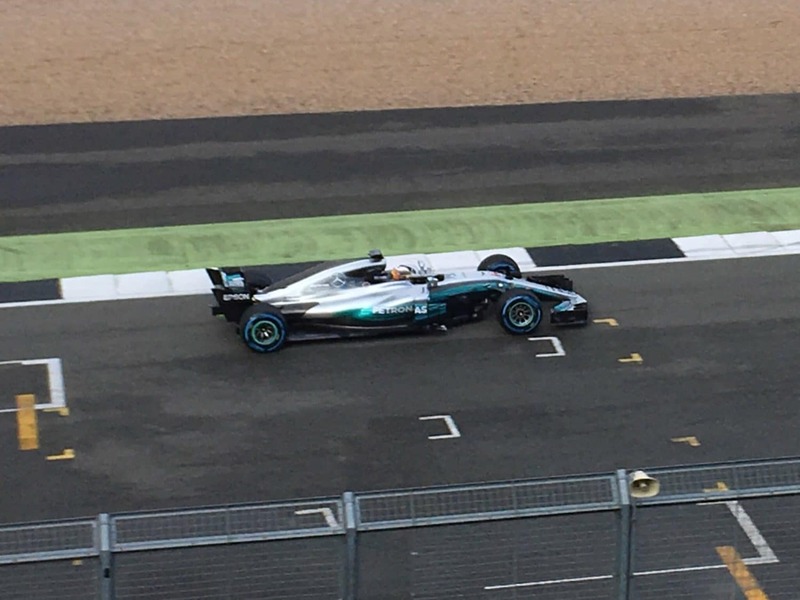 Obviously, I may be slightly biased, but to me, it is the best looking car I’ve ever seen! 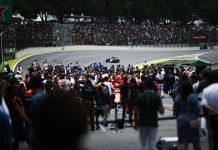 They’ve done a great job on the car and the engine – on track everything was running very smoothly. It’s a very good start, we had zero problems, on the engine side, or mechanically, or aerodynamically, so it was running smoothly, checking the systems. 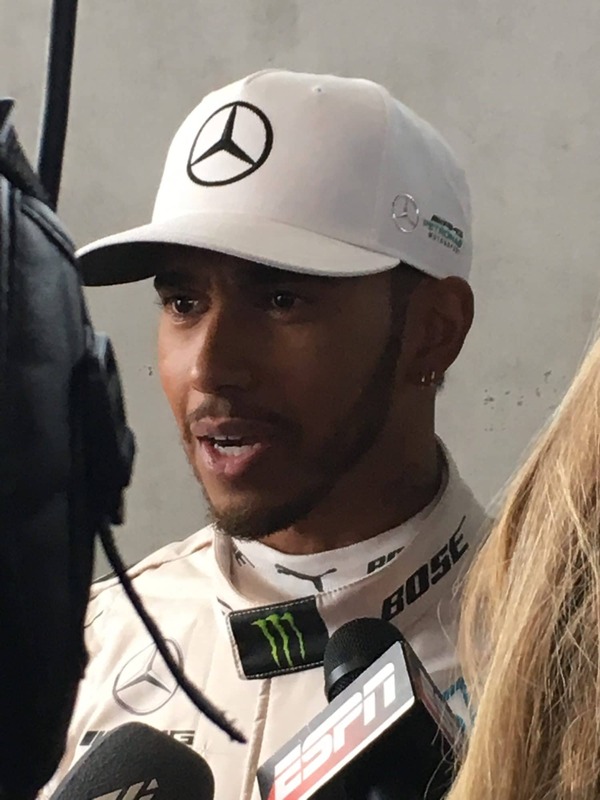 “Definitely it is going to be a great challenge to me, going up against Lewis as my team mate, but at the same time, we need to work together for the team. 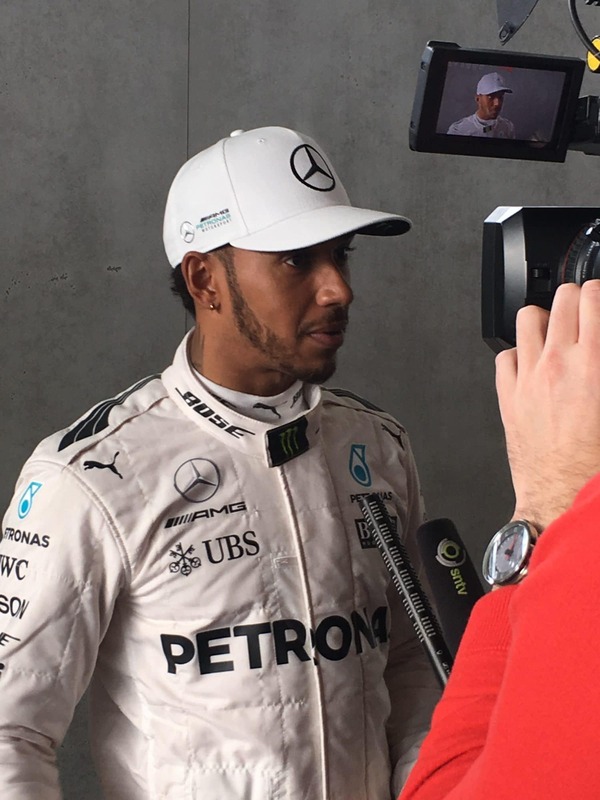 Obviously, it’s never going to be easy to beat Lewis, that’s a fact. 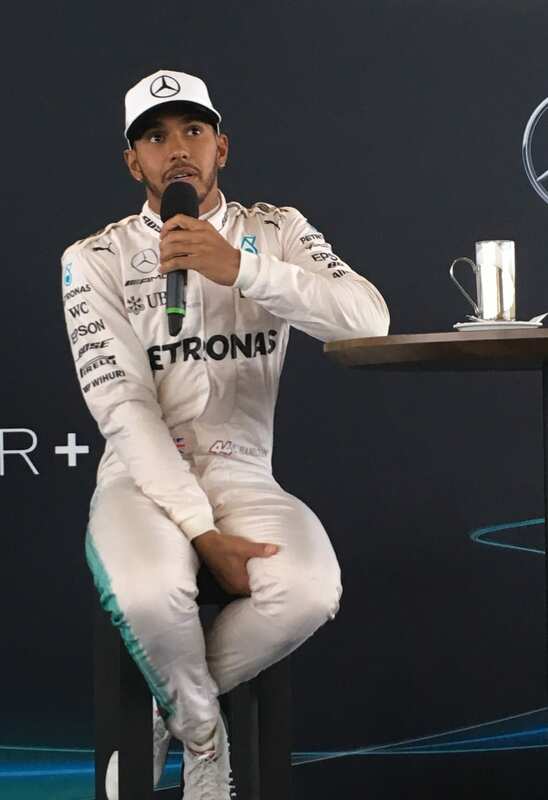 He’s a great driver and a three-time world champion, but I have no special plan whatever, other than keep doing what I’m doing, and that is to improve every single day as a driver. 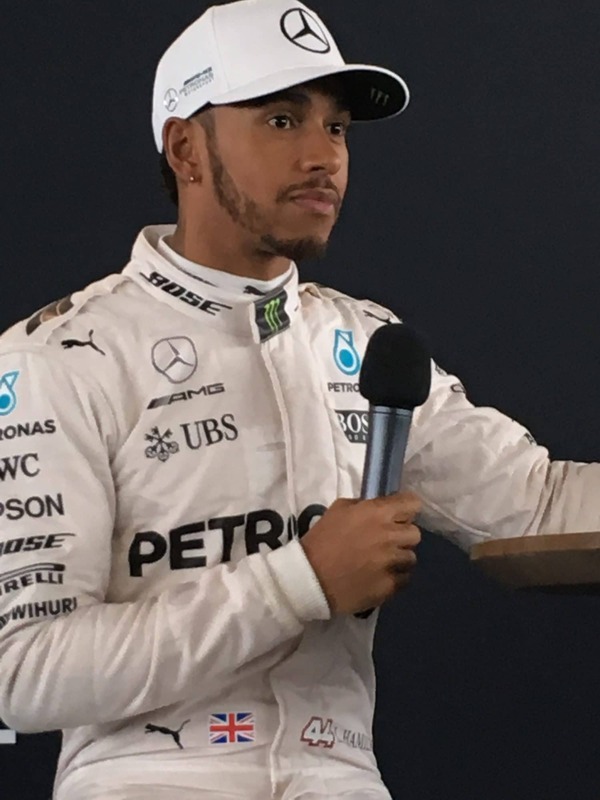 “Well that is completely up to me really, and that is how it goes in Formula 1. 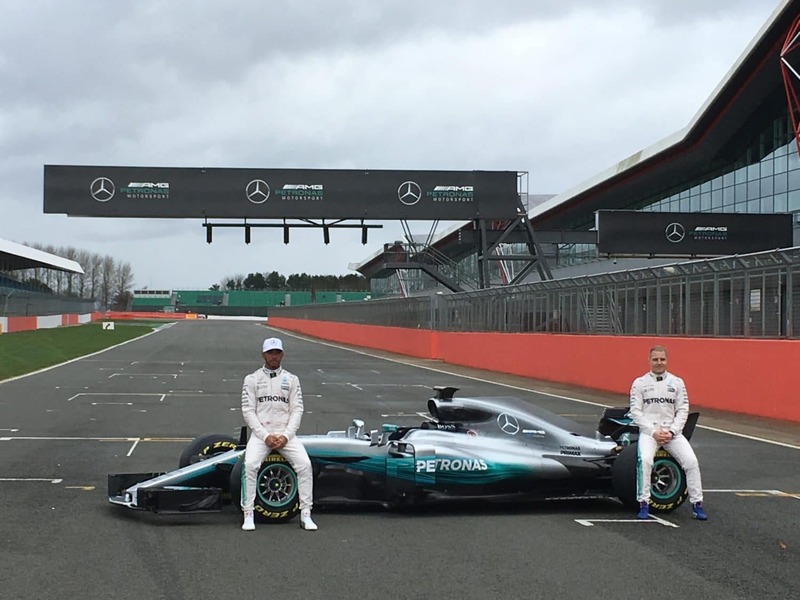 I was given this opportunity to race for Mercedes and if I wish for that to continue, it is up to me to perform. I realise that completely, and it has been pretty much the same every single season throughout my career, that the next year had been a bit unknown, so nothing changes in that way. 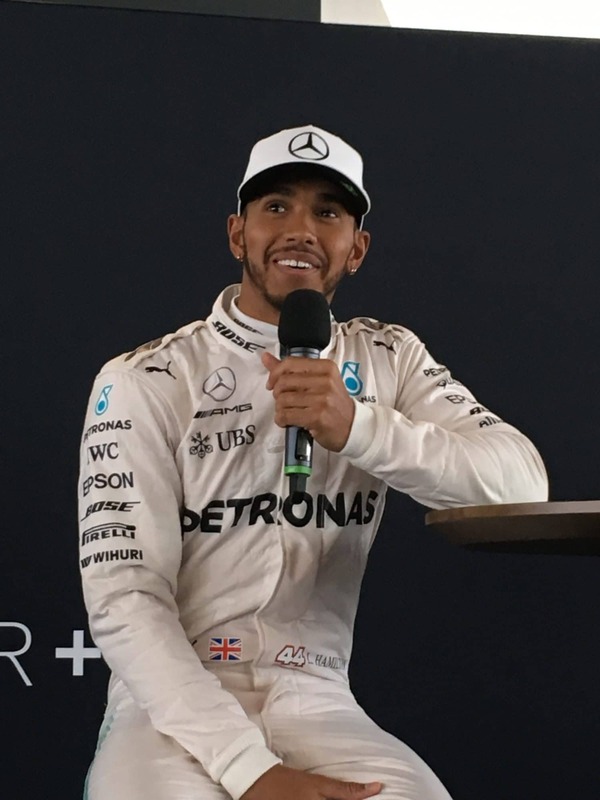 The team is expecting me to perform and to be on the level of the car, to be fighting well with Lewis, and that is my goal as well.